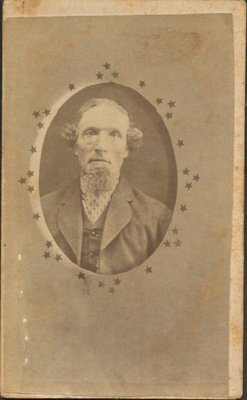 A photograph of Septimus Whittaker, husband of Isabella Whittaker. James A. McCracken is listed as operating photography business in Glencoe, Ont., in 1871. Copies to be had at this Negative.